Building on last week’s blog post, focusing on DISA’s major reorganization where I gave an overview of the new offices and divisions and their responsibilities. Today I’ll provide an update on how they see their role in major technology areas such as cloud and mobility playing out over this calendar year. One of the messages repeatedly emphasized by the senior DISA leaders at Monday’s AFCEA luncheon was that despite the reorg, the agency remains involved in providing DOD with capabilities in areas such as cloud and mobility. DISA officially released on January 13, 2015, DOD’s updated cloud security policy — aiming at expanding opportunities for those in the commercial cloud space. Mark Orndorff mentioned that for now, classified systems will remain under DOD’s purview, but everything else is up for grabs. DISA leaders specifically called out encryption, APT, monitoring, and remedial tools to help identify when breaches occur and boundary weaknesses. DISA’s officials conceded that its’ cloud strategy so far hasn’t adequately addressed the proliferation of mobile devices within DOD which have hampered their capabilities. Alfred Rivera stressed that what DISA is now doing with its mobility program is more than just introducing new tablets and phones into DOD, but making sure they are synced with the DOD environment. Expect requirements this calendar year centered on expanding mobile devices into classified security domains. Finally, DISA announced that the RFP for the next iteration of its major contract vehicle, Encore III, will be released in June with draft RFPs beginning in March. This reorganization marks DISA’s further migration away from its telecommunications roots as its mission expands deeper into providing services and capabilities to DOD in just about every area of technology. However, DISA’s mission and more importantly, what they’re buying hasn’t changed. They just want to make sure the offices you need to talk to about your solution are more centralized. 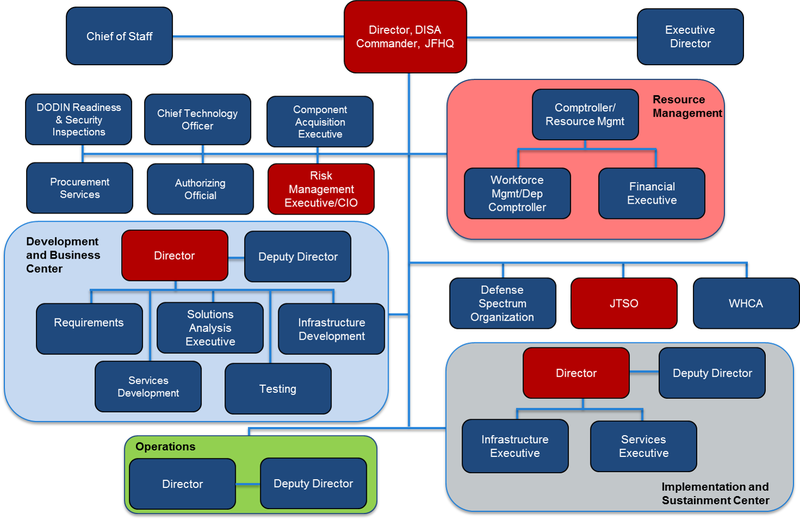 Your best bet is to talk to Alfred Rivera and his Development and Business Center since it will be the primary funnel through which new tools get inducted into DISA’s environment.